White sneakers have become the rage, especially over the past year, and none of us are complaining about athleisure taking over the world. Looking to stand out instead of sporting the same white sneakers everybody’s wearing? Don’t take our advice, just listen to Gigi Hadid. Club C is taking over the world! 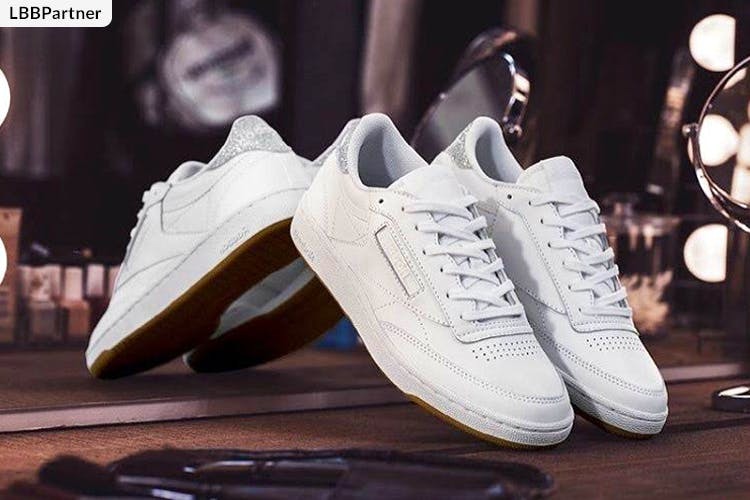 Reebok’s Club C was originally introduced as a tennis sneaker, and today it has attained an iconic status among sneaker heads with none other than style-con Gigi Hadid sporting these beauties everywhere. What do we like about the shoe? Personally speaking, these sneakers are super, super stylish. Also, we love that the branding on the shoe isn’t loud; makes it easy to wear, wherever we go. The whole of B-town has taken fancy to these sneakers. Here’s everyone who’s sporting the Club C.
@mandirabedi fashion game on point ? Get these awesome shoes at a Reebok FitHub near you. ??? #aboutlastnight #ootn #gameday @hm and lovely sparkly shoes from @reebokclassicindia ? London diaries call for a classic adventure and shoe. So walk on and explore. #ClubC #diamond #thisISclassic #whitesneakers #sneakerhead #sneakernews #reebokclassic #KOTD #Repost @sakpataudi (@get_repost) ??? These shoes are made for walking ?… #londondiaries @reebokclassicindia and @reebokwomen_india ?? Excited about these? You can buy yourself these beauts at the nearest Reebok Fit Hub.